Australian Traffic And Road Congestion Is Getting Worse; Should We Take A Leaf Out Of Buenos Aires' Book? Currently, 53 per cent of the world’s population live in urban areas and by 2050 this number is expected to rise to 67 per cent, and due to this, improving urban mobility to accommodate the expanding population is an essential investment for cities. As the world’s population becomes more city-based, urban mobility has become one of the toughest challenges faced by city planners. Buenos Aires has actively taken this challenge head on and has implemented a plan that is likely to reduce congestion and pollution by improving urban mobility through the provision of safe and affordable public and non-motorised transport solutions, and as such has been awarded the 2014 Sustainable Transport Award. 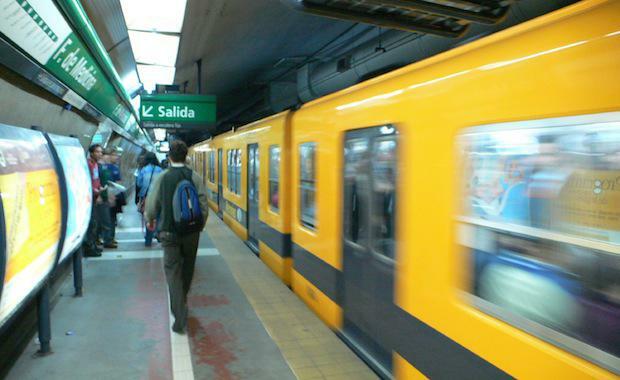 The Buenos Aires Plan for Sustainable Mobility, an initiative supported by the C40 Climate Leadership Group, developed in 2013, is an ongoing project focused on improving public transport to reduce traffic congestion due to rapid population growth and pollution within the city. C40 Regional Director for Latin America, Mr Manuel Olivera commented on the successful implementation of the plan. “On behalf of C40, I am pleased to congratulate Mayor Macri and the team involved in the development of Buenos Aires’s Plan for Sustainable Mobility. This plan involves a great number of transportation initiatives, from the development of a BRT network to cycle lanes and pedestrian zones, actions that will significantly improve mobility in the city and therefore, the quality of life of the citizens,” Mr Olivera said. As a key section of the plan, a pedestrian friendly culture was promoted within the city, with 110 kilometers of new cycle lanes created in the city center and pedestrian zones increased. Pedestrian improvements focus on making the streets more accessible. According to the Institute for Transportation and Development Policy (ITDP), the implementation of these changes have resulted in passengers across the city reducing their time of travel by thirty minutes per bus ride. According to ITDP, it is estimated that by the end of 2015 there will be 56 kilometers of Metrobus corridors connecting the main transport hubs in the city, which will benefit 1,200,000 people.